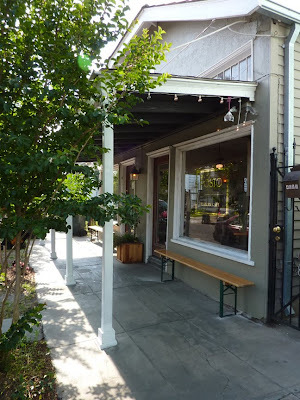 Il Posto Cafe is a quaint and adorable little Italian cafe, located in a charming but so-off-the-beaten-path residential New Orleans Uptown neighborhood (on Dryades near Napoleon and St Charles) . 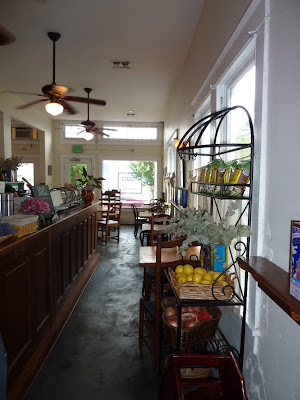 The dining room is rustic, calm, filled with gorgeous raw wood tables and bentwood chairs, cool dark floors and flowers. When you walk in, the staff is likely to be up to their elbows in rosemary sprigs, Brussels sprouts or cupcake batter, navigating your meal between fresh ingredient preparations. They are friendly, if a bit preoccupied. 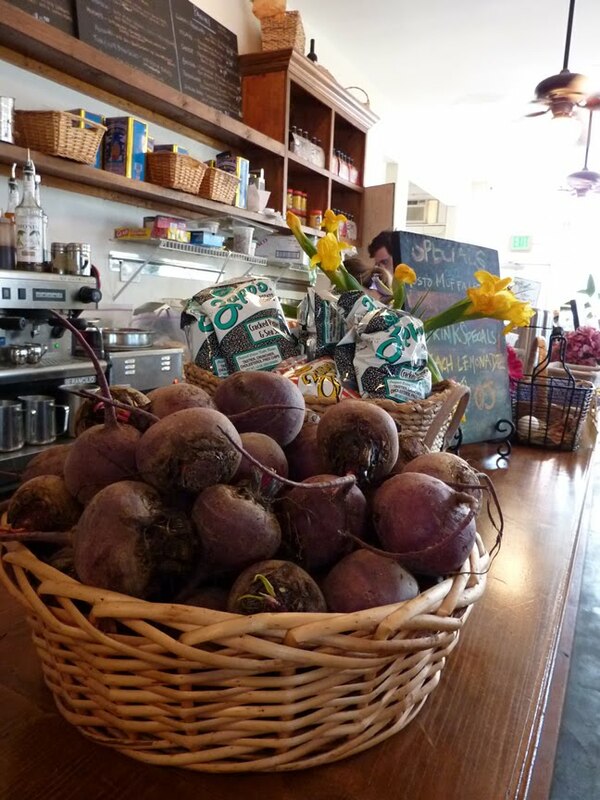 The counters overflow with baskets of beets or lemons or breads. The menu features an elegant, well edited array of antipasti, panini, tramezzini (cold pressed sandwiches as opposed to hot... I learned that today), salads and desserts. They are, quite simply, right up my alley. I can't believe I didn't even know it existed 'til a month or two ago. I've been twice since then, both times for lunch, although they are open for dinner and breakfast as well. 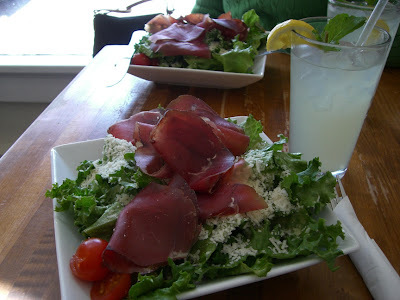 The first time, I enjoyed the Insalata Bresaola. It was my first time eating bresaola, a beautiful dark red, very thinly sliced cut of air dried salted beef somewhat like a dry prosciutto. It was the main feature of the salad, piled high over greens that were very lightly tossed with a lemon herb vinaigrette. The salad was topped with generous shavings of Parmesan Reggiano. What a lovely salad. My only complaint was that it was so light that I was still hungry at the end. At $9, that seemed unfortunate. I think it might be better shared with a friend as an accompaniment to a sandwich. Today, I went again with a friend. We both ordered Italian sodas (hazelnut, vanilla or strawberry are the Monin syrup options) and were happy to find them not overly sweet. 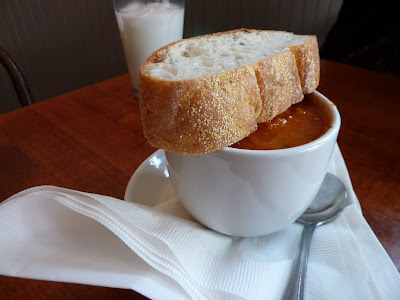 My friend ordered a cup of tomato basil soup ($5.25), which was served with a slice of fresh bread. 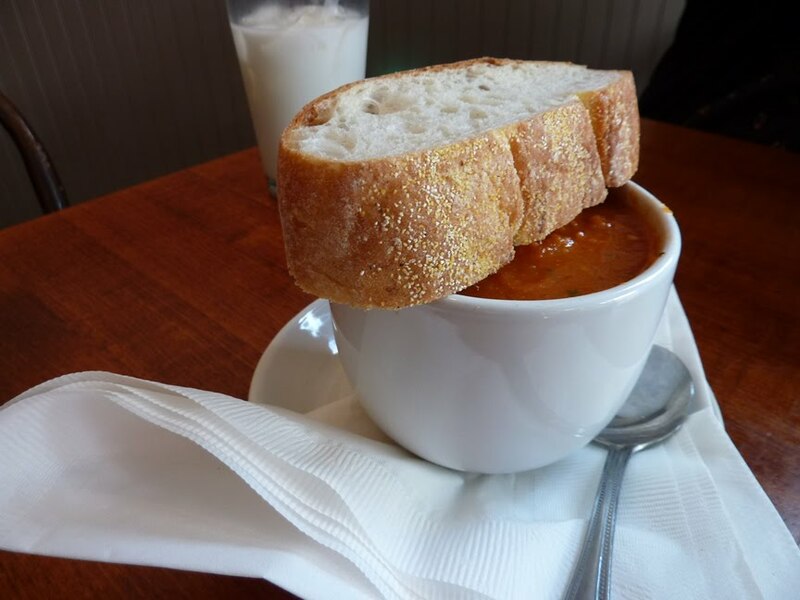 The soup was nice, well balanced, not too tangy and tasted of San Marzano tomatoes, celery, garlic and basil (if my taste buds serve me well... who knows.). 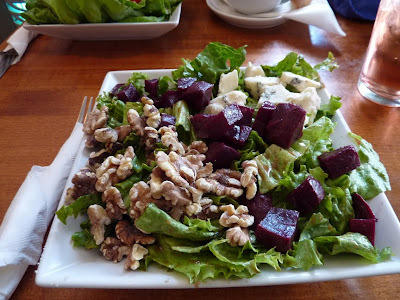 Inspired by the gorgeous basket of beets near the cash register, I ordered the Beet and Walnut Salad ($9), which was generously proportioned and beautiful to behold. Deep red cubes of beet, walnut halves and chunks of incredibly good Mountain Gorgonzola from St. James Cheese Company nestled among lettuce dressed gently in a balsamic vinaigrette. The ingredients were all excellent, but it could have benefited from a bit of bite. I think the entire salad would have been better over arugula or a more bitter salad green. Nonetheless, it was very good. My friend selected the Italian Tuna Salad ($9.50) which was also large and beautiful. 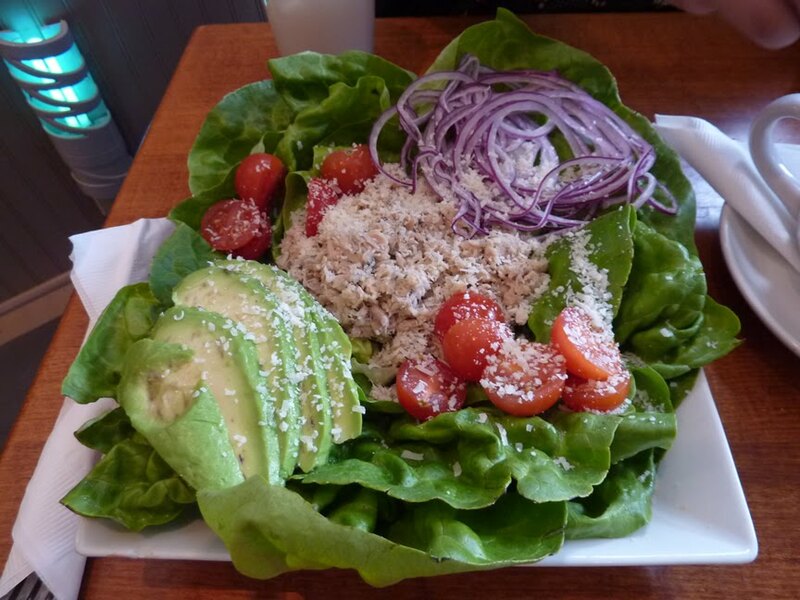 Well flaked Italian tuna with a barely there, lemony dressing was flanked by sliced avocado, red onion and grape tomatoes over Bibb lettuce. Parmesan Reggiano was showered over the top as well. A delightfully light and refreshing lunch salad. I think Il Posto is great. It is obvious that the ingredients take first priority and that much thought and attention is given to creating fresh, genuine dishes. Our only wish is that they would offer half sized salads at half the price making it easier to enjoy more than one thing at a sitting without overeating and overspending.